As weddings get more and more involved and climb in price, so can the number of those actually involved in your wedding party. Brides go to great lengths to not forget anyone and have to find alternative duties/ideas. Here are some neat ways to allow all the children from your friends and family to be involved in your special day. Instead of flower petals, if you have more than one flower girl, have two of them follow you down the aisle while holding your train. If you have additional flowers girls then they can go before you and sprinkle the petals and the others can carry your train. 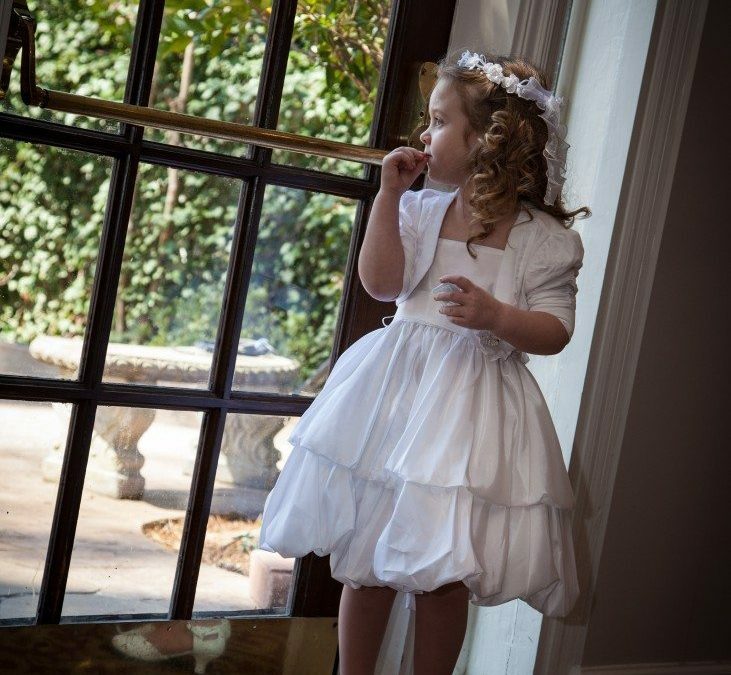 Your flower girls could also carry a garland made of flowers or greenery with ribbons. It adds a different touch and can be very pretty. They could also stand at the end of aisles with a single large balloon or several smaller ones to add a pop of color to your wedding. If your flower girl and ring bearer are too young to walk down the aisle, they could be pulled in a cart/wagon that has been decorated with wedding colors. If there is a group of young girls that you want to be in your wedding, dress them all similar and place flower halos on their heads and allow them to hold hands and walk down your aisle. No one says they have to throw flowers – just their presence would be precious. Finally, if you have a dog that you want to be involved in the wedding, the flower girl or ring bearer could walk them down the aisle for you. There are so many different ways you can incorporate children – even in larger numbers. This way, no one gets their feelings hurt and you have beautiful pictures! Gala has helped many brides to incorporate additional family and friends into their special day by thinking outside the box. Please contact Kathi Bland, our wedding facility manager, to see how she can help you achieve the look and feel you want for your special day!